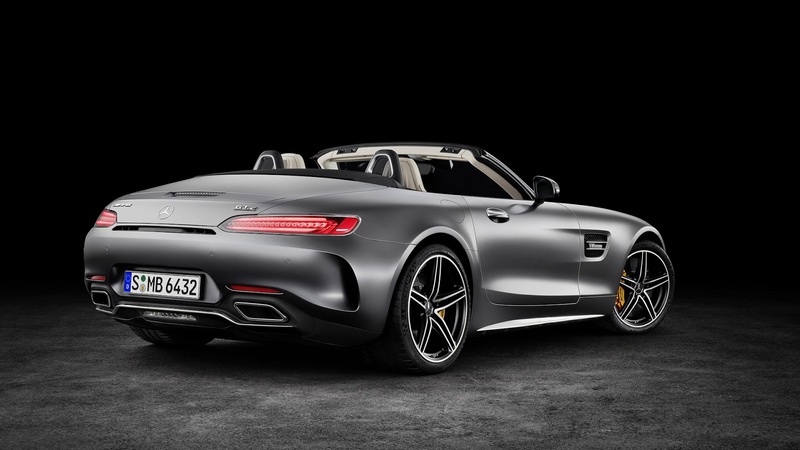 As is well known that the Porsche 911 Carrera S Cabriolet rival from Mercedes-AMG called GT C Roadster will make its debut at the Paris Motor Show 2016 in early October. Previously, the roofless car's video teaser was first revealed recently. As reported from Motor1, based on the video, revealed that Mercedes-AMG offers two variants for their new product, the GT and GT C. Both will join the line of other GT series such as GT, GT S, R and GT coupe. 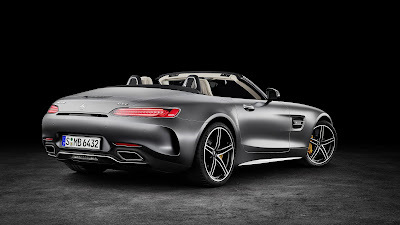 Both variants are equipped with a twin-turbo 4.0-liter V8 engine mated to a AMG Speedshift DCT seven-speed dual-clutch transmission system to distribute the power to the rear wheels. Although it has similar engine, but with different strength, Mercedes-AMG GT has a 476 hp and peak torque of 630 nm at 1,700 to 5,000 rpm. 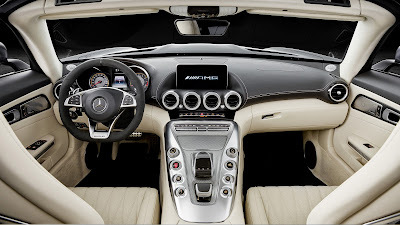 While AMG GT C Roadster powered 557 hp and 680 nm at 1,900 to 5,750 rpm. Meanwhile its competitors, the Porsche 911 Carrera S Cabriolet is equipped with 3.0 liter Boxer 6 engine that is capable of spewed the power up to 420 hp and a peak torque of 368 lb-ft. The model has a sporty rear-wheel drive system which is channeling the power assisted by manual and automatic PDK seven-speed transmission system. 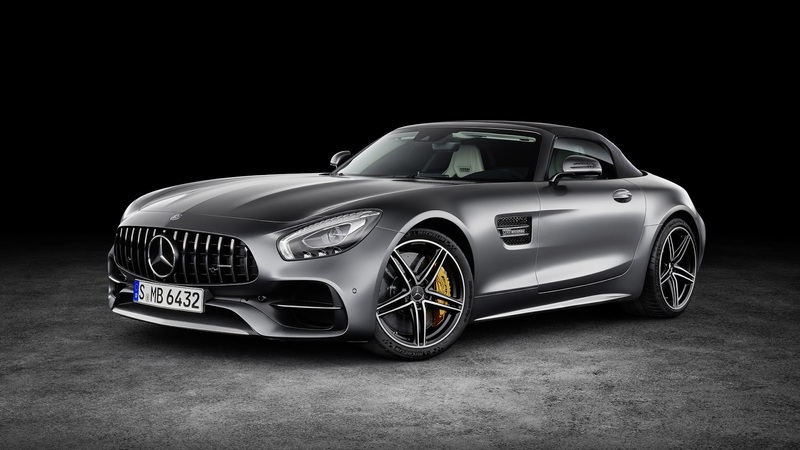 In appearance, the Mercedes-AMG GT and GT C is not much different. 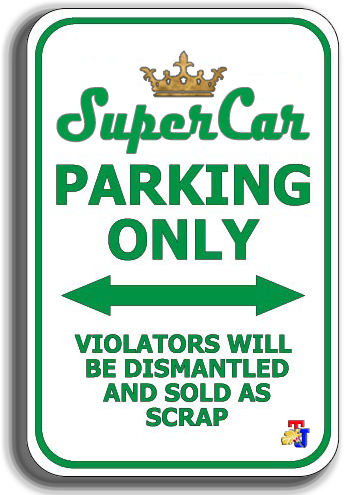 Both come with a thicker side skirts, a strut tower brace between the roof cover (soft top) and fuel tanks to reinforce the rear axle.